A series of novels about a fictional Norwegian seafarer during World War II is topping bestseller lists in Norway, and finally giving the country’s merchant marine sailors the attention they deserve. The book highlights the plight of wartime maritime heroes who later were largely ignored and forgotten, and never received the financial rewards they were due. Author and former newspaper editor Jon Michelet has struck a national nerve with his first two novels about a fictional wartime sailor. Norway’s merchant marines had a huge role in the allied war effort during World War II, but suffered greatly for it. “One in four young men (in Norway) were at sea during the war. Everyone seems to have a wartime seaman among their close relations,” Michelet told newspaper Aftenposten. He thinks it’s shameful that they got no recognition afterwards, or help for post traumatic stress. “We rebuilt the country, but not the people,” Michelet said. Michelet himself was a sailor, first going to sea at the age of 18. 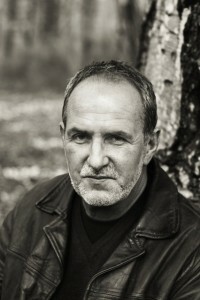 He has used a lot of his own experiences for the books, as well as others’ memories. His typical readers, he says, are women whose fathers were wartime sailors. Many have stopped him on the street to tell him that they finally understand what their fathers went through. Others have shared their fathers’ diaries and pictures with him. The first book En Sjøens Helt – Skogsmatrosen (A Hero of the Seas: Sailor from the Forest) is 800 pages long and has sold 135,000 copies since it came out last year. Book two, En Sjøens Helt – Skytteren (A Hero of the Seas: The Gunner), is currently number two on the bestseller lists. The third book is expected to come out in the fall of next year. “The books have become popular reading. That they took off in this way has totally surprised me. The history of the Norwegian wartime sailors was on the verge of being forgotten completely,” he told newspaper Dagsavisen. He says he wrote the books about heroes of the sea “because they have received far too little attention” and because their lives and experiences were so dramatic. The second book, expected to be a popular Christmas gift this year, is set during some intense months of 1940-41, during the “Battle of Britain,” among the crew of a petroleum tanker in the Atlantic. 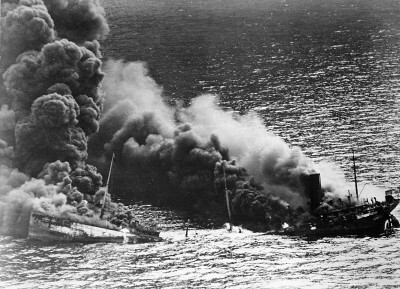 Norwegian ships provided aviation fuel to the allies, and were under constant threat of being bombed. Michelet wanted to show how that the sailors didn’t talk about their fear. “I have worked hard to strip their language of any feelings. They talked about injuries and bandages, about the weather and the practical challenges they faced,” he said. The loss of life was huge: More than 4,000 Norwegian merchant sailors died during the war, in addition to around 300 sailors of other nationalities (according to Michelet’s own rough estimates) who were sailing under the Norwegian flag. 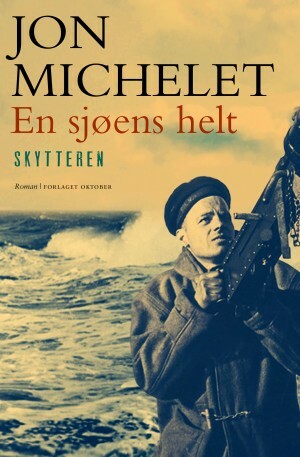 Michelet originally intended to finish the series in 1946, but his readers wanted him to include the sailor’s battle for money from Nortraship in 1948, which they lost in Parliament. When many of the merchant sailors returned to Norway after the war, the government did not recognize them as combatants, so they were not entitled to war pension, and their widows and families were refused war pensions until very recently. The previous government apologized in March this year for the bad treatment of the wartime sailors, and two other books about wartime sailors have also hit the shelves: Vegard Sæther’s book Krigsseilere (War sailors) about young seamen thrown into the war already in 1939, and Lasse Trædal’s collection of stories about Norwegian seafarers in the post-war years. Michelet, meanwhile, wants to prevent other veterans, such as the Norwegian soldiers currently fighting in Afghanistan, to suffer the same fate as the World War II merchant marine, and is planning to use some of the proceeds from the books to set up a fund. It would support projects that tell the stories of Norway’s war veterans. “It’s important to gather these stories, to avoid the same mistakes that were made after World War II,” he told Dagsavisen.